I don’t see the harm in informing people and asking them to pray against it. “Prayer contest” would be an over-simplification, but Holy Tradition is clear that God moves us to pray so as to let us share in His dignity of causality, as sons. We oughtn’t simply say “God’s got it.” On gab, I suggested Catholics pray a rosary at Midnight, lighting a votive or vigil lamp before the Theotokos’ “Softener of Evil Hearts” icon, or an image of Ss. Benedict or Michael, invoking their intercession against maleficence. We know the importance of ritual and symbol. Fair enough; I was less taking issue with evangelicals choosing to engage in prayer against evil (never a wrong or bad thing for Christians to do) than with their panicking mindset. You’re certainly right that we do well to pray, in the face of evil; always a good thing to do. Kek will protect us from the wiccan hordes! Hahaha – be careful what you wish for. Remember, the “majority” voted for Hildebeast! Yeah, really; what if their spell makes Trump turn into their biggest nightmare? 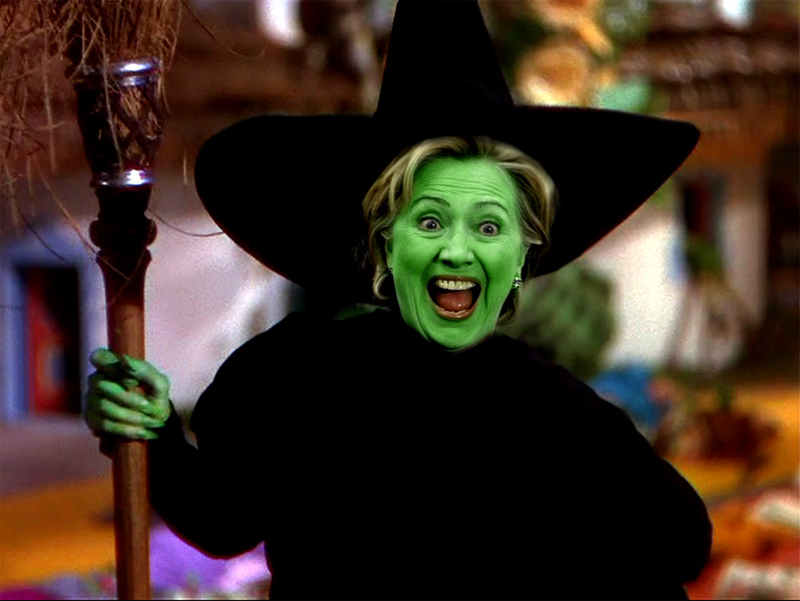 Hmm-m-m. for every witch casting at the president, there’s a thousand Christians say, “In Jesus’ Name, I break these spells and cast them back ten-fold on the one who sent them. I cast the demons and evil back ten-fold on the one who sent them, and bind it all there by the Blood of Jesus.” Look to see fewer witches in the near future. If you think this is funny, then you must think it was funny that 1/3 of Jesus’ ministry was like this 🙂 Go for broke. After decades of neolibs owning the country, we have nothing left but attack. Hey, we should throw everything at them that we got, including spiritual warfare, too, whether prayer or whatever. (: Better yet, lets send them back to Europe. And add a curse to their curses on them! Remember the poloc dueling pistol. Every finger they aim at Trump, three more aim back at them. God’s will be done. I’m not downloading on you. Cochran needs to study history, not urban legend. The Cursades started when? Medina was christian/Jewish city and every peron there was slaughtyered. Their remains were buried under the city plaza. Every city and state in the Middle East was Christianized, with the exception of two cities in Iraq, which were Buddhist–those were also slaughtered to the last child, even the livestock burned. All of N. Africa right into France was taken, but the French repelled them Still no Crusade. 10 million Christians stolen from the coast of Europe, untold number taken from Eastern Europe, slave raids right to Iceland (over 400 taken from there, ten years later, family found 1 still alive, the life was that harsh on Christians). The first crusade was to stop it from continuing, and the rest, as well. Do bad things happen in war? Of course. But nothing like Islam did in the name of greed, not God. Which inquisition? there were two, secular and religious. Under the Bible, no one is persecuted for their religious beliefs and the catholics followed that. Secular court was vastly different, using torture and burnings as part of the mainstay–and it was usually people in rebellion against the government (see political lynchings, USA). Witchcraft was an accusation. In church matters, if found guilty, a confession and anointing was usually enough. Secular courts used Roman law, not the Bible to make determinations. Yes, I do know. Manuscript research and an editor, and have never been a Catholic. Blessed be the Lord Who trained these fingers for war… 🙂 Peace to you, and may the sword miss! yeah, I get tired of it. I’m not a catholic, and not a protestant, but wind up defending against the atheists’ little box of urban legends. So! My best to you, be blessed. I’m Protestant, for my part, but ElectricAngel is Catholic; we’re a pan-Christian-traditionalist blog. (: I became a Christian at age 27! Non-Protestant, non-Catholic. The ancestors were taught by Messianic Jews brought into the colonies by the churches. Which colonies? My mom is from the Caribbean. 13 original, Stars and Stripes, USA, or just spell it US. Which island in the Sea of the Carib? A bro left for the la Republica (Dominican) on the 3rd. I asked if he would take me, but i had to find a suitcase big enough to hold me and the dog. 🙂 Too expensive to go now, anyway. Me, I want to get home to Arizona. We have miles of beach, palm trees, tropical fruit, salt water, sun, just no ocean. For that, we go to the Redneck Riviera, Texas coast. Trinidad? Ya mon? The closest I’ve come is Little Jamaica, NYC. Outside of Ft. Jackson, SC. An older half-brother is buying more property in Belize. Dad raised him ‘white’ because his mother is an Austrian. She (divorced, living in S. Carolina) tried to get him into things with the Cherokee, to have a base from there, but he never had much to do with them. Now he wants me to go with him to make cure the Mayans are cool with him building in their turf. Um, dang, man, no speak da lingo, yoi (no :). It’s cool in Belize, but it rains there. (God BLESS Arizona!) I told him, find a nice Garifuna babe and settle in. A lot of good folks all over the Islands, good hearts there. Much nicer than Sou Californian where he is now. Much, much nicer than the cold hearts of Pennsylvania. Ya mon, dot she so nice. Be blessed, and your mother, as well, for raising you right. I like the idea of a place with a culture that’s a cross between Caribbean and Latin, but which is English-speaking (as well as Creole and Spanish) and has Mayan pyramids, too. Also, a small country, so easy to get around and see all of. Word is, stay away from the border with Guatemala. Every once in a while they get a burr up the unmentionable and invade Belize. Last time was ’97, so their due again. Armed troops against little old ladies, Moskitos Indians, and of course the infamous Carib. Having been chased from the Yucatan to Guatemala, then to Belize by the Spanish, the Mayan were more than happy to lend a machete or two. How’s your Kriol? Ya, mon! Being of East Indian rather than African descent, I only know a little Creole / Patois. I understand Pitcairn Islanders also speak mostly Elizabethan English, too. Well, maybe King James English, or Georgian, I forget.